Dr. John Christopher is well-known in the field of natural healing. He started the School of Natural Healing in Springville, Utah and taught thousands of people how to be their own herbalist. His goal was to have an herbalist in every home. 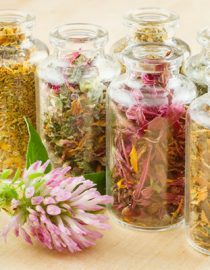 The herbalist could then take care of most of the health issues that arise on a daily basis in family members. Dr. Christopher was a naturopathic physician during a time when natural healing was not accepted by the medical profession. As a result of this, he was arrested many times for practicing without a license – although he was a doctor! Because he wasn’t a medical doctor and the medical profession was threatened by natural healing, this fact prompted the arrests. A 14-year-old girl had tried to commit suicide because her psoriasis was so bad. Luckily, her mother intervened and the girl’s attempt was not successful. The mother contacted Dr. Christopher for help for the girl. Modern medical care had not worked, and the girl’s skin condition was severe. She had thick heavy scales on her feet, legs, hands, arms, neck and face. The girl used food as her consolation and started gaining weight rapidly. When she finally saw what she had become, she believed the only thing she could do was commit suicide. Dr. Christopher gave her an herbal formula that he later called Complete Tissue & Bone, and the woman left his office. She gave it to her daughter orally and applied it topically. Four days later, she called with the results: the girl’s skin had transformed from scabs and scales to a healing glow. The girl was never troubled by the condition again, and became a cheerleader at school. What’s in the Formula for this Herbal Remedy for Psoriasis? Comfrey leaves – This herb has been used for centuries when rapid wound healing is required. Interestingly, it was banned in the 1990s when the herb was blamed for a woman’s death. The woman had been on heavy pharmaceutical drugs for a health condition, ones that clearly affect the liver. By the time she began using the herb, she was close to death; yet the herb was blamed for her death. All internal consumption of comfrey was prohibited at that time. The Complete Tissue & Bone formula is a topical ointment that is applied generously to the skin for cases of psoriasis. Because it contains comfrey, the formula may not be consumed orally. Marshmallow root – This herb is a demulcent, which calms down overactive tissues. Mullein herb – Used traditionally to insure that glands are working properly, this herb may help the small glands in the skin. Oak bark – Known for its astringent properties, oak bark tightens the skin with its tannins. Gravel root – This herb is usually for kidney and bladder problems but it also has nervine properties. This means it is able to act on the nervous system. Wormwood – A very bitter herb thought to be the bitterest herb on the planet, this one has strong anti-parasitical properties. Lobelia – This herb is called the thinking herb because it directs all other herbs to the place in the body where the healing should happen. Skullcap – This herb acts on the nervous system, calming it down. Walnut bark or leaves – Another herb that has anti-parasitical properties. Dr. Christopher always gave instructions on how to change diet as well as what to take orally and apply topically. When you can work on the body inside and out is when you can get the most healing for cases of psoriasis.